Get out on the open road and explore all of the amazing vehicle options that are waiting for you at our dealership. The 2018 Jeep Wrangler JK offers time-tested performance, street-smart precision and rock-crawling dominance in a powerful and iconic build. Our dealership is serving Boulder Longmont Thornton Denver, Colorado, customers with incredible offers. Our Jeep dealership is designed to provide you with a superior level of options and features. The exterior of this vehicle is designed to provide you with exceptional capability. Whether you choose 16-inch, 17-inch or 18-inch aluminum wheels, you’ll have a vehicle that is designed to give you the balance and support you crave on the road. Come down and check out all of our options available at our dealership so that you can get the vehicle that matches your personality and adventurous spirit. You’ll also love the option to get off-road or all-season tires to fit the kind of driving you plan to engage in most often. Explore the 2018 Jeep Wrangler JK to find out how this vehicle is designed to provide you with an elevated driving experience. Check our dealership out and see why we have been serving Boulder Longmont Thornton Denver, Colorado, buyers get outstanding deals for years. This vehicle provides a black sun rider soft top, hard top headliner and a power dome hood on select models as well. Tons of interior options await you. From black leather seats with red or diesel gray accent stitching to cloth seats with a Golden Eagle logo, you’ll have plenty of options to help you get the best driving experience. Easy access passenger seat options are designed to help you get an incredible level of comfort. Come down and explore the heated front seats and the leather-trimmed bucket seats that will give you a superior level of comfort. Leather-trimmed bucket seats give you a laid-in feel and you’ll love all of the technology that is available to help you get more from your ride. 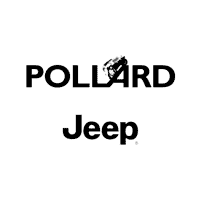 At Pollard Jeep, we want to provide you with a vehicle that meets your needs. Come down and view the 2018 Jeep Wrangler JK near Denver and get an incredible vehicle for your money. Check out our Denver Buyers Guide and get more for your money at our dealership. We want to provide you with an exceptional level of service when you purchase your next Jeep. Off-road capabilities is where this vehicle excels. You’re going to love the fuel tank, and transfer case skid plates that come with this vehicle. Additionally, you’ll find that the rock rails and Jeep trail rated-kit help you stay prepared for anything that life throws at you. When it comes to pulling a trailer, you’ll get features like trailer sway damping and a towing capacity that starts at 2,000 pounds. Give us a call to find out how you can take this vehicle home and begin your next adventure. The 2018 Jeep Wrangler JK near Denver is designed to provide you with an exceptional level of service and support, and we want you to trust us to provide you with an exceptional value. With an iconic vehicle like the Wrangler, you can’t go wrong with the 3.6-liter V6 engine that gives you enough power to tackle the most intense courses. The vehicle comes with a 5-speed automatic transmission and a 6-speed manual transmission. Come down and explore the 4:1 Rock-Trac part-time 4WD system to get the most from your test drive. The 2018 Jeep Wrangler JK is powerful and capable. Come down to Pollard Jeep to find out how you can take home this incredible vessel today. Our Denver Buyers Guide is designed to let you know more about our available vehicles. The powertrain offers you a powerful and capable ride that gives you a thrill-a-minute driving experience. When it comes to safety, you’ll have several active and passive mechanisms watching your back. Come down and explore the options available from our dealership so that you can feel secure knowing that you’re protected. The vehicle comes with advanced multi-stage airbags, electronic stability control, roll mitigation and a hill-start alert system to give you the best possible safety. You’ll also have the option of getting an electronic vehicle tracking system so that you can have an improved chance of recovering your vehicle if it gets lost or stolen. Come down and talk with us about your options so that we can help you get the best possible ride. Explore the safety features that are built into the 2018 Jeep Wrangler JK near Denver, Colorado at our Pollard Jeep dealership. Explore our Denver Buyers Guide and then contact our dealership serving Boulder Longmont Thornton Denver shoppers. Our dealership wants to help you get a great deal on your next vehicle purchase. When you come down, visit us online or give us a call, we can start the car-buying selection process to get you into the vehicle of your dreams. It’s time to find out how a new car can change your life and contact our dealership to give you a financing package that makes sense for you. Our professional team is standing by to help you select the vehicle that fits your lifestyle.